The AAAI President [Eric Horvitz] has commissioned a study to explore and address potential long-term societal influences of AI research and development. The panel will consider the nature and timing of potential AI successes, and will define and address societal challenges and opportunities in light of these potential successes. On reflecting about the long term, panelists will review expectations and uncertainties about the development of increasingly competent machine intelligences, including the prospect that computational systems will achieve “human-level” abilities along a variety of dimensions, or surpass human intelligence in a variety of ways. The panel will appraise societal and technical issues that would likely come to the fore with the rise of competent machine intelligence. For example, how might AI successes in multiple realms and venues lead to significant or perhaps even disruptive societal changes? On issues of control and, more generally, on the evolving human-computer relationship, writings, such as those by statistician I.J. Good on the prospects of an "intelligence explosion" followed up by mathematician/science fiction author Vernor Vinge's writings on the inevitable march towards an AI “singularity,” propose that major changes might flow from the unstoppable rise of powerful computational intelligences. Popular movies have portrayed computer-based intelligence to the public with attention-catching plots centering on the loss of control of intelligent machines. Well-known science fiction stories have included reflections (e.g., the “Laws of Robotics” described in Asimov's Robot Series) on the need for and value of establishing behavioral rules for autonomous systems. Discussion, media, and anxieties about AI in the public and scientific realms highlight the value of investing more thought as a scientific community on preceptions, expectations, and concerns about long-term futures for AI. The committee will study and discuss these issues and will address in their report the myths and potential realities of anxieties about long-term futures. Beyond reflection about the validity of such concerns by scientists and lay public about disruptive futures, the panel will reflect about the value of formulating guidelines for guiding research and of creating policies that might constrain or bias the behaviors of autonomous and semi-autonomous systems so as to address concerns. Scientists Worry Machines May Outsmart Man, New York Times, July 25, 2009. Smart machines: What's the worst that could happen?, New Scientist, July 27, 2009. 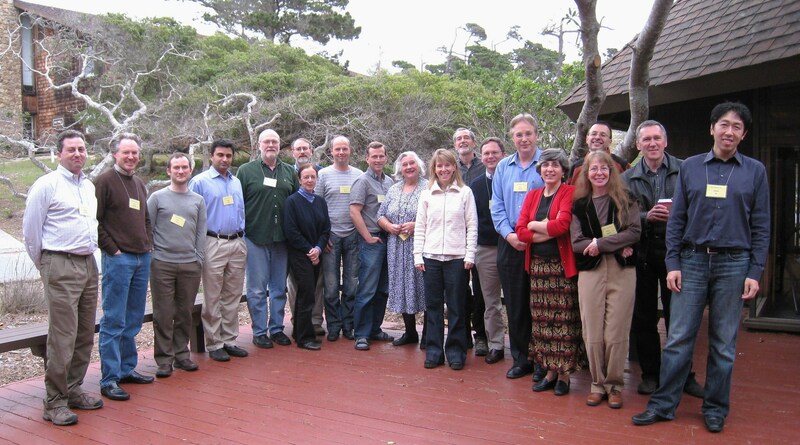 Attendees at Asilomar, Pacific Grove, February 21-22, 2009 (left to right): Michael Wellman, Eric Horvitz, David Parkes, Milind Tambe, David Waltz, Thomas Dietterich, Edwina Rissland (front), Sebastian Thrun, David McAllester, Magaret Boden, Sheila McIlraith, Tom Dean, Greg Cooper, Bart Selman, Manuela Veloso, Craig Boutilier, Diana Spears (front), Tom Mitchell, Andrew Ng.